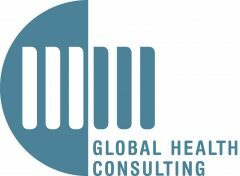 MMGH supports a variety of public clients and initiatives in Global Health, including the World Health Organization (Headquarters, Regional and Country Offices); the Pan American Health Organization; the Bill & Melinda Gates Foundation; Gavi, the Vaccine Alliance; the Global Task Force for Cholera Control (GTFCC) and others. Since its creation MMGH has worked on more than 40 projects. Below you can find a selection of those projects that illustrates the agency’s areas of expertise and type of support provided to its clients. Support the Global Task Force on Cholera Control (GTFCC) in assessing and defining the financial needs and benefits of the new strategy “Ending Cholera: A Global Roadmap to 2030” and translating those into a comprehensive investment case to be used by donors and countries. The project scope includes a wide range of multisectoral interventions across WASH, immunization, disease surveillance and case management. MMGH worked collaboratively across multiple sectors and ensured effective project management. Support to the WHO Initiative for Vaccine Research (IVR) and Maternal, Newborn Child and Adolescent Health (MNCAH) department in conducting a Bill & Melinda Gates Foundation-sponsored project that investigates and analyses the status of maternal immunization delivery strategies in low and middle-income countries. This includes developing a typology to classify health systems in terms of how they deliver vaccines to pregnant women and exploring approaches to improve country readiness for delivering new maternal vaccines such as future RSV and group B streptococcal vaccines. MMGH has also been involved in other projects such as supporting the Global Taskforce on Cholera Control in the definition of the governance setup, funding framework and costing for the new strategy “Ending Cholera: A Global Roadmap to 2030” or supporting the WHO Department of Immunization, Vaccines and Biologicals in designing and conducting stakeholders’ assessments for the development of a Global Immunization Strategy 2021-2030 in follow-up to the present Global Vaccine Action Plan. Support to the WHO Initiative for Vaccine Research (IVR) in facilitating a SAGE Working Group review of the scientific evidence and programmatic considerations in support of the use of typhoid vaccines with a focus on typhoid conjugate vaccines. The typhoid vaccine recommendations were discussed and endorsed by the WHO SAGE in October 2017 and subsequently published as a WHO Position Paper. Support the WHO Initiative for Vaccine Research (IVR) in reviewing the scientific evidence on HW influenza vaccination, collating currently available immunization strategies, and synthesising a practical introduction manual to support countries introducing HW influenza vaccination. MMGH has also been involved in other projects such as supporting the WHO Expanded Program on Immunization in the preparation of an updated Pneumococcal Vaccine position paper or the WHO Regional Office for Europe in the definition of the new operational guidelines on equity in immunization. Support to the Bill & Melinda Gates Foundation in assessing the public health and financial viability of a vaccine for Schistosomiasis. MMGH coordinated a group of experts in developing vaccine use cases and preferred product characteristics, worked with modelers from the Imperial College London and the University of Warwick to assess the epidemiological and economic impact, assessed the regulatory, product development and vaccine delivery strategy, and assembled the public health value proposition. Support to the WHO Regional Office for Western Pacific in developing a guide for accelerating control of Japanese encephalitis in the region that suggests regional targets, defines regional strategies and activities to accomplish the targets and provides a framework for countries to develop national plans tailored to their situations. MMGH collaborated with the WHO Regional Office, country representatives and global experts in Japanese encephalitis to facilitate a meeting of experts, draft the guidance and work towards an endorsed and funded strategy for Japanese encephalitis control in the region. MMGH has also been involved in other projects such as supporting the WHO IPAC secretariat in revising the committee’s Terms of Reference or the WHO Infectious Hazard Management (IHM) team in evaluating the functioning of the OCV working group of the GTFCC. Support to the Monitoring & Evaluation unit of the Gavi Secretariat. MMGH performed a review and synthesis of Gavi-funded data strengthening partner activities (WHO, UNICEF, US CDC, WB) and presented findings at a Monitoring, Data Systems and Strategic Information partner workshop which defined the future direction of this work. Support to the WHO Expanded Program on Immunization (EPI) in partnership with Linksbridge SPC for the piloting and establishment of an initiative aimed at enhancing countries’ access to safe, effective, quality, and affordable vaccines. MMGH manages the consultation with manufacturers, the definition of the methodological aspects of the project, the assessment of current and future supply and the identification of bottlenecks on the supply-demand balance and of potential mitigating measures. As per October 2018 the project has covered BCG, Diphtheria and Tetanus-containing, HPV and Meningococcal Meningitis vaccines. Support the Ministry of Health and the WHO Country Office of Lao PDR in developing successful GAVI applications for the introduction of HPV and Rotavirus vaccines and in establishing and updating a comprehensive Multi-Year Plan for the LAO PDR National Immunization Program for 2019-2023. This plan specifically takes into account the financial needs and shifts in resource allocations in view of the country’s upcoming graduation from donor support. MMGH has also been involved in other projects such as the Country Programmes department of the Gavi Secretariat in the definition of a capacity building framework for their senior staff. Support to the WHO Initiative for Vaccine Research (IVR) in assessing the feasibility and reliability of integrating surveillance of invasive salmonellosis in the WHO-coordinated Global Invasive Bacterial Vaccine Preventable Disease Surveillance Network in Ghana, Uganda, Bangladesh and India. MMGH will perform the clinical and laboratory site evaluations in tier 2 surveillance sites for the National Surveillance System for Enteric Fever in India (NSSEFI). Support the WHO Department of Immunization, Vaccines and Biologicals and the Expert Advisory Group on SAGE Evaluation (EAGSE) in assessing the relevance, effectiveness and quality of SAGE’S work and deliverables, to assure that it continues to provide high quality strategic advice in all areas of the evolving immunization and global health agenda. This includes scoping the evaluation, performing stakeholder consultations, gathering and analysing findings , facilitating their review by the EAGSE, development of recommendations and preparation of the evaluation report . The project is currently ongoing with expected completion in April 2019. Support to the WHO Regional Office for Africa in performing the mid-term review of the Regional Strategic Plan for Immunization 2014-2020. MMGH prepared an extensive desk review, facilitated a face-to-face session of the external review panel at AFRO HQ, summarized and consolidated review findings, assisted in the development of recommendations and in the presentation of a final evaluation report to the AFRO Regional Immunization Technical Advisory Group. Support to the WHO Regional Office for Europe (EURO) in performing the mid-term review of the European Vaccine Action Plan (EVAP) 2015-2020.MMGH supported WHO EURO in collating and analysing available information to measure progress against the EVAP goals and strategic objectives and summarize the findings into a report for the review of a Working Group of the European Technical Advisory Group of Experts (ETAGE) and in preparing a report for presentation to the WHO Regional Committee for Europe.